I found this today while procrastinating. This is Canada's answer to the international border crises, and it's a good one. 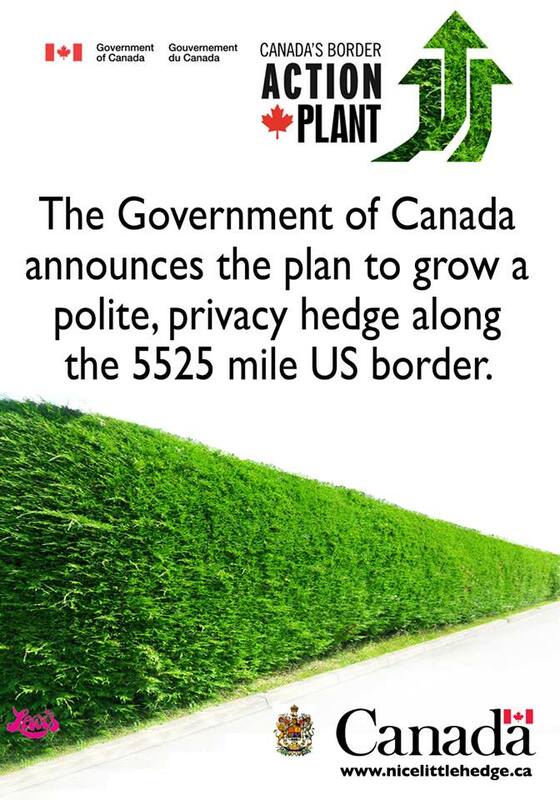 I understand the U.S. and Canadian governments are both looking for experienced hedge trimmers, so I volunteered Glen Filthie over at Filthie's Thunderbox. No need to thank me.